Since the beginning, CapeMay.com has been a comprehensive visitors' guide to the ins and outs of Cape May. It launched in September of 1998 as an independent website dedicated to our little piece of paradise at the tip of southern New Jersey. We proudly produce it from our office on the Washington Street Mall. 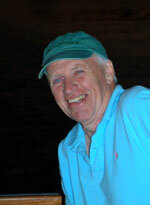 Bernie is the founder and president of Cape Publishing. He lives in Cape May, was educated by Mercy nuns and Christian Brothers in Pittsburgh. Eagle Scout (1960). First career in Philly. Last career in Cape May. Grateful for all that life has brought. Married fewer times than Larry King, but more than Ronald Reagan. Father of seven grown children. Grandfather of seven growing children. Most likely to be spotted at the Brown Room, the Mad Batter or Wawa. Jessica is responsible for the design and direction of CapeMay.com, our social media, and regularly contributes to CapeMay.com's blog. She is a fiction writer and language enthusiast. 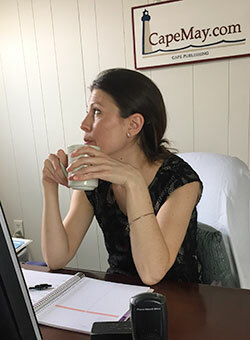 In addition to CapeMay.com, she designs Cape May Magazine and coordinates Cape May Restaurant Week. 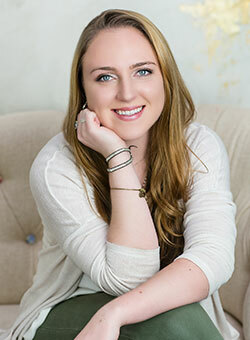 Jessica grew up in Michigan and has been with Cape Publishing since 2005. "It's just for a summer," she said. She lives with two dogs. Michelle is our staff photographer. She captures images of Cape May for Picture of the Day and our social media (as well as Cape May Magazine) and assists with updates to CapeMay.com. Michelle was born and raised in South Jersey and now lives in Cape May County. As a child she would come to Cape May with her Grandparents on many day trips to Sunset Beach. She loves spending her time with family and friends, taking tons of pictures, crafting, and riding her Harley. 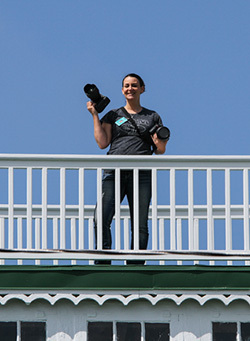 Morgan is a contributor to Picture of the Day, manages our Instagram account, and handles the event calendar for CapeMay.com. Morgan received her B.A. in Communication Studies, as well as a Business and Writing minor from Stockton University in 2017. Photography is her passion, and living to find the beauty in simplicity is her motto. She is happiest with hiking boots on, a camera in hand, and an adventurous destination awaiting. Kathleen handles advertising for CapeMay.com and Cape May Magazine. Kate is a contributor for CapeMay.com's blog. 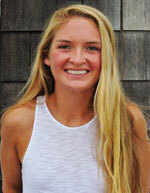 Kate is the Editor of Cape May Magazine and a freelance writer. A Pennsylvania native, she made Cape May her permanent home in 2002, after vacationing in and around town for decades. She lives with her two children and a supercalifragilisticexpialidocious cat named Steve. Kate is an editor by trade and a writer at heart, and spends her time reading, writing, walking, apologizing for her hair, and marveling at her good fortune. Laura is the guest photographer for our most popular feature, Picture of the Day. Laura is a multi-disciplinary artist who works in photography and painting. She received a BA from Georgetown University in 2013 and a Master of Fine Arts from Pennsylvania Academy of Fine Arts in 2016. 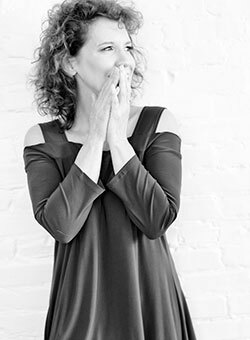 She has exhibited work in Philadelphia, New York, and New Jersey, and currently splits her time between Philadelphia and Cape May. Her favorite time of year to photograph in Cape May is the Fall and Winter seasons. 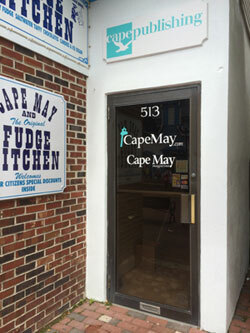 CapeMay.com is produced at 513 Washington Street, on the Washington Street Mall in historic downtown Cape May. According to the city's 1890 map, a candy store occupied the site even then and was probably owned by Mr. Roth of Roth's Candyland. His son George ran the candy store until the 1980s when Bogle Brothers' Fudge Kitchen took over. As any one who walks the mall knows, they are very much still here and still selling fudge. The building, according to Wister Dougherty, whose family owned the building up until the 1960s when George Roth bought it, says he thinks 513 was constructed around 1903 or so. The building served as the office for the Cape May Star and Wave for nearly twenty years, and later for the Chamber of Commerce of Greater Cape May. We took over the space in 2004.